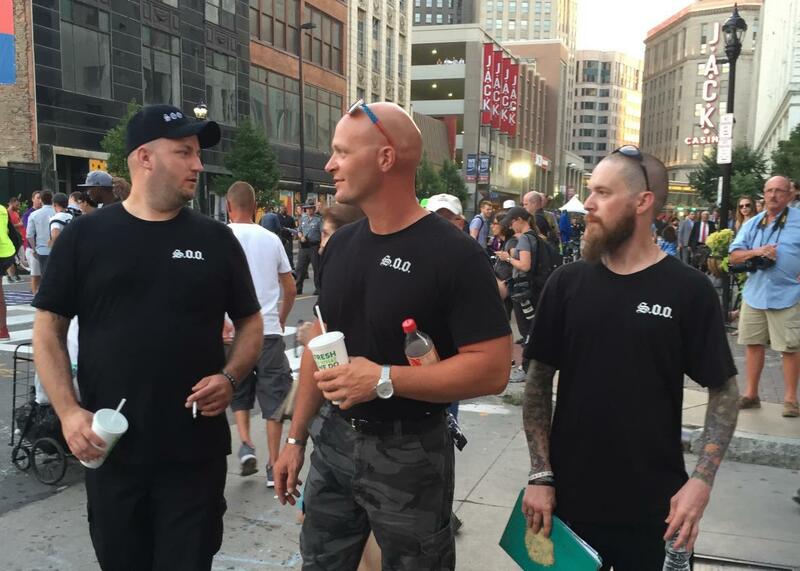 Members of the Soldiers of Odin Ohio chapter in Cleveland this week. Your occasional guide to the neo-fascists and white supremacists who have come to Cleveland to celebrate the ascension of Donald Trump. Soldiers of Odin USA is attracting adherents from both of the two largest segments of the American extreme right—white supremacists and the antigovernment extremist “Patriot” movement—and may be the most significant coalition of such extremists in the U.S. since the early 1990s.